I never taught I would review healthy oats but yeah, I'm doing it just because Saffola Masala Oats is awesome. I never liked oats, it looks like baby food but Saffola Masala Oats something really different. One day in office, An amazing aroma pass through my nose over hitting my delicious, unhealthy and oily lunch. I just looked around and found baby food cooking in an Oven and I freaked out coz we don't have babies in office and the aroma was amazing. I asked around and found out that it was oats, come on I may be a foodie but this smell just made me healthy to have masala oats for lunch that day. Even to this day I bring oats and cook it in office and I really love it. Saffola is a company which produces more of health products is a baby company of Marico. Marico company is a products and service company mostly related to health and beauty products. This company has a lot of brands including the famous parachute, kaya products, Medikar and others including Saffola which is basically concentrated on healthy food. 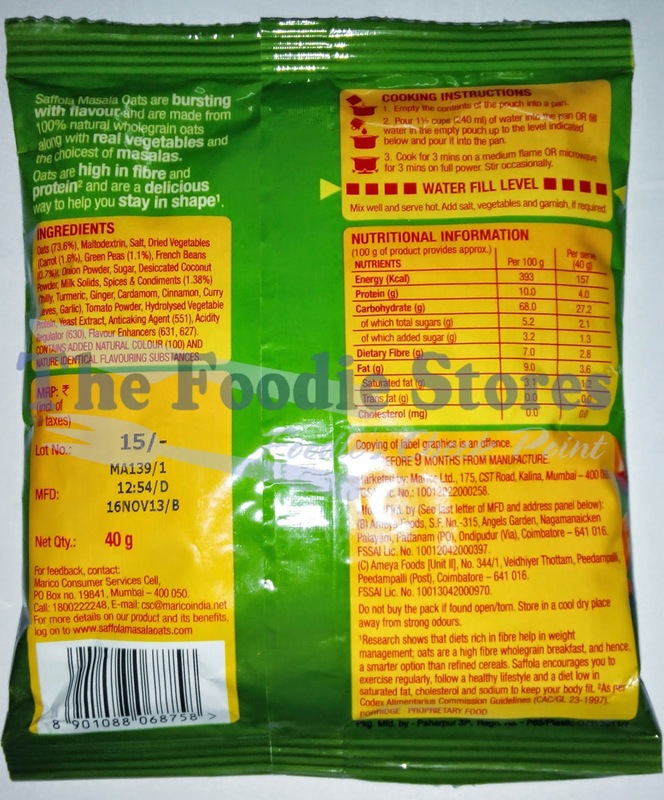 Saffola was famous for its healthy oil and nowadays it's making more healthy food items like oats, salt and muesli. Nothing much to tell about this company. 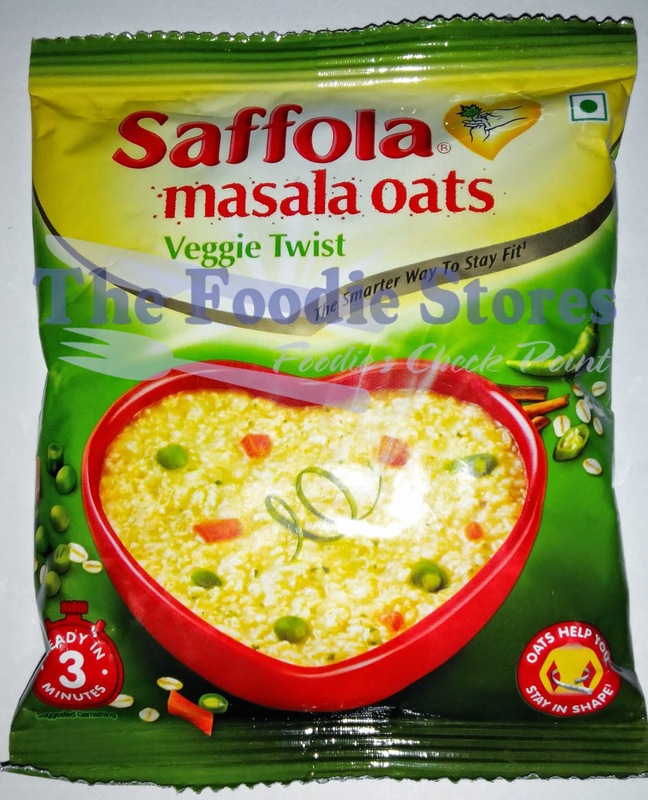 Saffola Masala Oats Veggie Twist is one of the tasty oats you can find in the market. I think this is the only type of oats which I love and I can be healthy for the same. I know foodie like me talking about health is weird but trust me these oats can satisfy both your foodie side and the healthy side. As I have explained on the top first time I was flattered was its aroma. The flavouring was rich and it tastes good too. Medium spice, salt and few vegetables make a complete tasty meal package. You can buy this packet, add water and cook it in an oven for like 3 minutes and Done. You don't have to take much tension at your office. Guys, try it and see it for yourself, this is one of the best oats I have ever eaten in my life. I just tried this oats. After cooking, I get a kind of coconut oil flavour! Is it normal? I was wondering whether the product is spoilt. But the packing is just new oct 2017.
coconut oil flavour? That's weird!